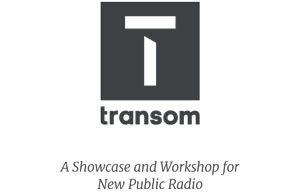 The Transom Story Workshop is a residential training program for beginning radio producers. It will take place in Woods Hole, MA, from September 23rd through November 21st, 2019. To apply, complete the application below. You can find general information about the Workshop here and you can visit our FAQ here. We are also pleased to offer the Story Workshop Scholarship. Eligibility for the Scholarship is based on demonstrated financial need with a focus on diverse voices, people of color, and those who have been historically underrepresented as makers of public media. You can apply for the Scholarship here. Applications and materials are due on May 31st at 11:59 P.M. EST. If you have any questions along the way, you can reach us at info [at] transom [dot] org. Thanks for your interest. 2. How did you hear about the Transom Story Workshop? 3. Please upload your resume here. PDF format required. Be sure to click the upload button after you've selected the document. *This question is required. 4. Please upload your personal statement. For more information on what we're looking for, click here. PDF format required. Be sure to click the upload button after you've selected the document. *This question is required. Transom is all about the craft of story-driven, narrative radio. We were born out of the tradition and values of public radio. Our Workshops focus on passing on those skills and sensibilities. In 200 - 300 words, please tell us why this type of journalistic audio storytelling specifically appeals to you. 6. Please have two letters of recommendation submitted on your behalf. To read more about the letter requirements and how they should be sent, click here. Letters of recommendation need to be submitted to Transom no later than May 31st (11:59 p.m. EST). You are responsible for contacting your recommenders and following up. Please leave us their names and emails below so that we know who we will be hearing from. *This question is required. 7. We'd like to get a sense of your work. Please use the space below to tell us - in just a few sentences - about the Work Sample you're submitting. Only one Work Sample is allowed per applicant. Read more about what we're looking for here. *This question is required. 8. How will you share your work sample? *This question is required. If you're uploading your Work Sample (MP3 or PDF), please do so here. Reminder: only one Work Sample is allowed per applicant. *This question is required. If the best way to access your Work Sample is via a webpage or link, please share the URL below. Reminder: only one Work Sample is allowed per applicant. *This question is required. 9. You will need a computer (and an external hard drive) for editing. What type of computer do you have? Please include the computer's current operating system. For example, MacBook Pro with OS X 10.12. *This question is required. 10. Do you consider yourself a tech savvy person? Please explain. Which computer programs do you use regularly? Which others are you comfortable using? (i.e. Microsoft Word, Garage Band, Word Press, etc.) *This question is required. I will be paying by: *This question is required.